I'm guessing "Bieber youtube" would generate millions of hits, all without addressing the simple fact that the press loves sexual scandal more than it loves discussing bills working their way through the legislation process. Of course, only one of these will have far-reaching impact well into the future. 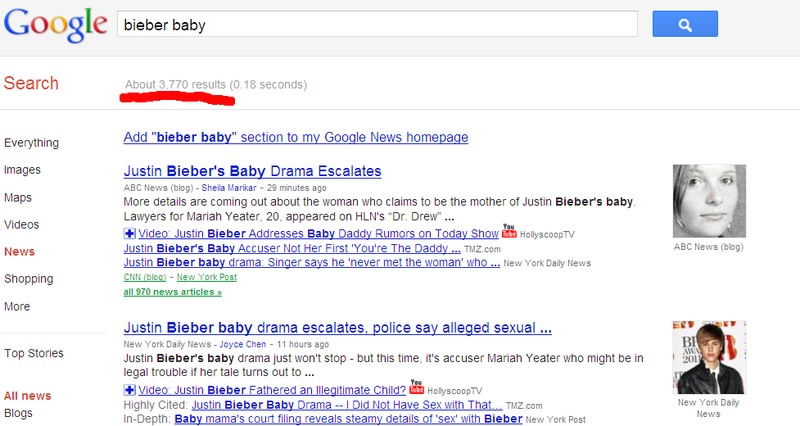 And it won't be Bieber's alleged love child. "Bieber +s.978" = 34 hits. Sure, there's 41 million hits overall, but "a single story in the New York Times has far more impact than a dozen musings on Justin Bieber fan blogs." If I follow your logic, certain news agencies are far more important than dozens of blogs but they're just repeating the same press releases, so it doesn't count because it skews the numbers. Is that about right? 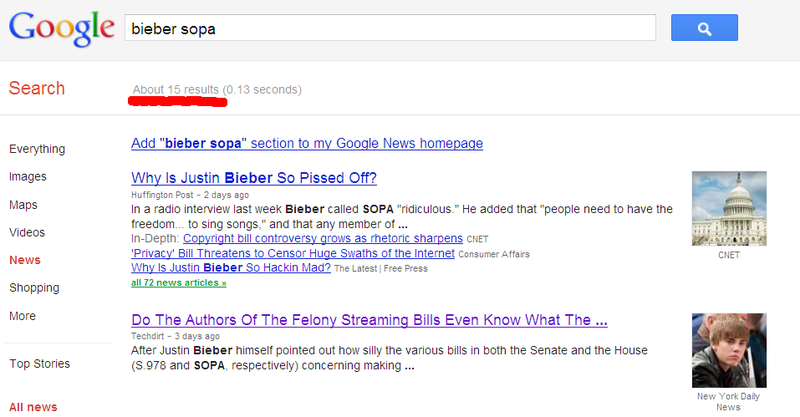 No matter how the search is presented, it's wrong because "SOPA legitimately has nothing to do with Justin Bieber." ?? ?